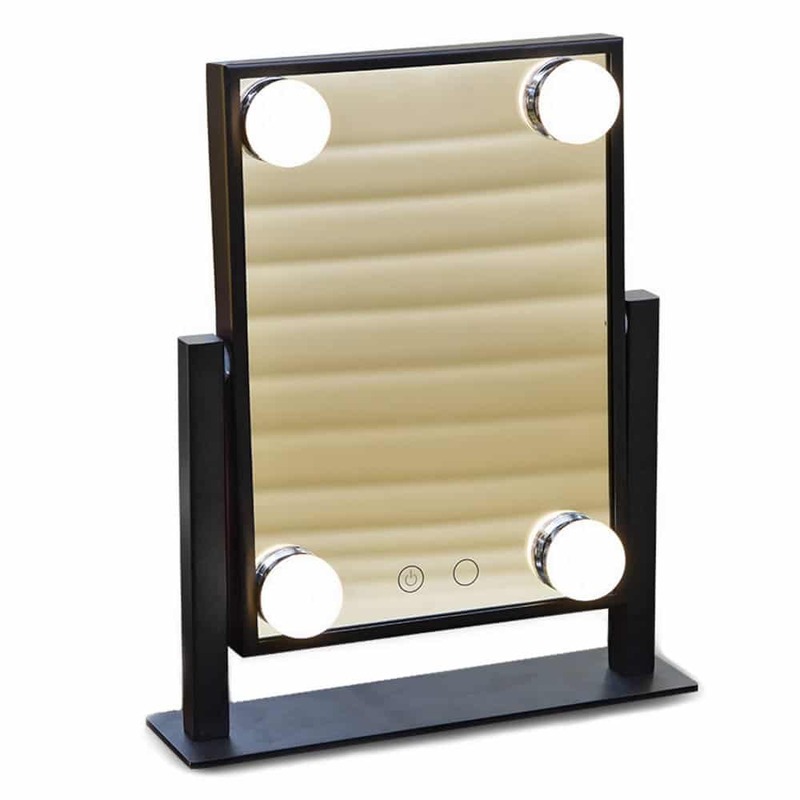 Lighted LED Makeup Mirror. There are 4 dimmable LED bulbs that may be useful when it’s a dark environment or lights it not sufficient. 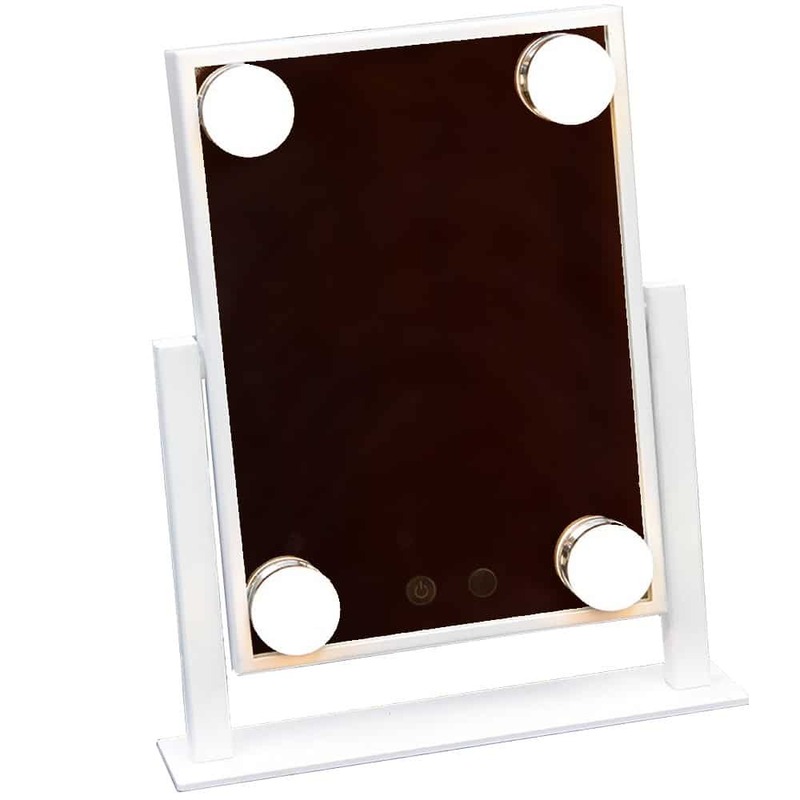 Slim and elegant, whole Frame mirror size: 180 x 250 x 20mm, it is a great mirror for makeup and is big enough to be placed in bathroom, bedroom. Touch the circular button to turn on the mirror light, and LED lights brightness is adjustable, to adjust the intensity you touch the circle and keep touching it for several seconds, the lights will cycle brighter or darker. 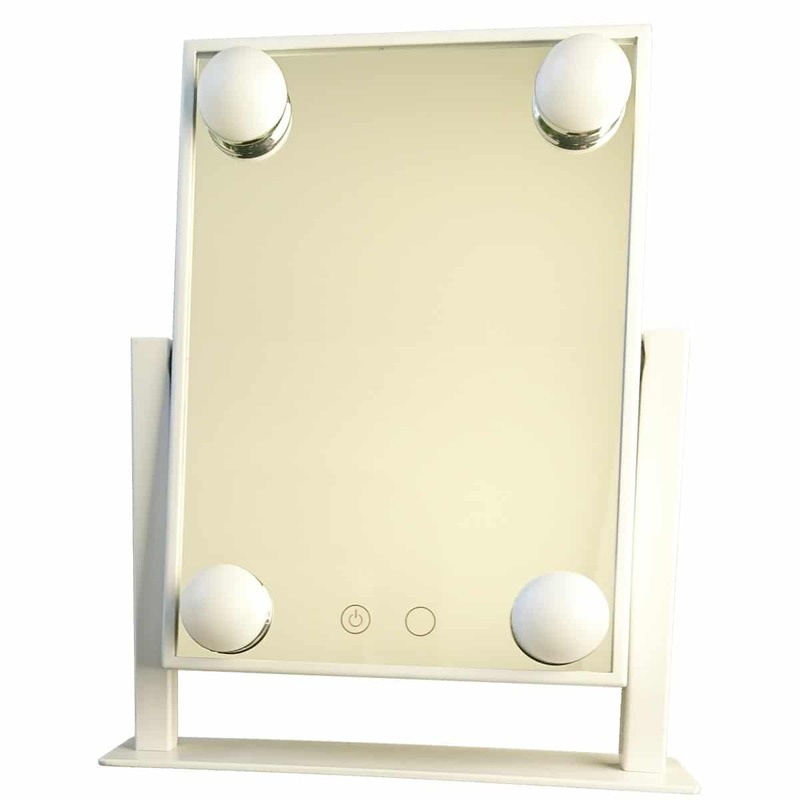 Folding makeup mirror and can be great for a small gift surprise for a spouse, opening the mirror and turning the lights on it does seem fancy and adorable. Perfect for travel, office, outdoor and even at home.